The Old Shell Trolley is now available for rentals! Please call for pricing. We will strive to meet or beat any quoted price. Email oldshelltrolleyclub@gmail.com or call Justin Bullen at 251-604-6626 for more information. Or fill out the form below and we will contact you. 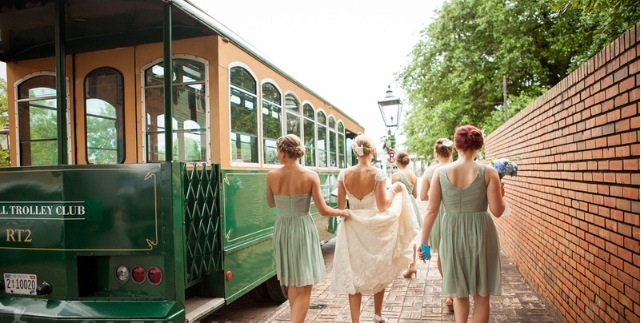 Your wedding party and guests will arrive in style with this New Orleans Streetcar feel. Plan a night out on the town or dinner with friends, the opportunities are endless all while having the peace of mind of arriving to your destination safely. 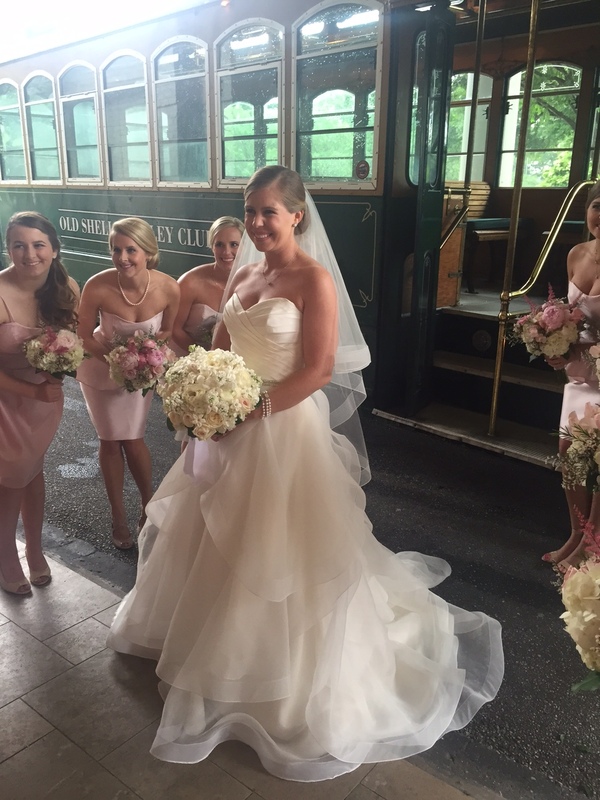 The Old Shell Trolley is available for your group’s transportation needs! Our four Trolleys seat up to 32 passengers featuring wooden seats, brass railings, windows that open, a rear platform, and is equipped with A/C and Heater. Also available is a CD player with I-pod hookup and speakers for music while in route to your destination.